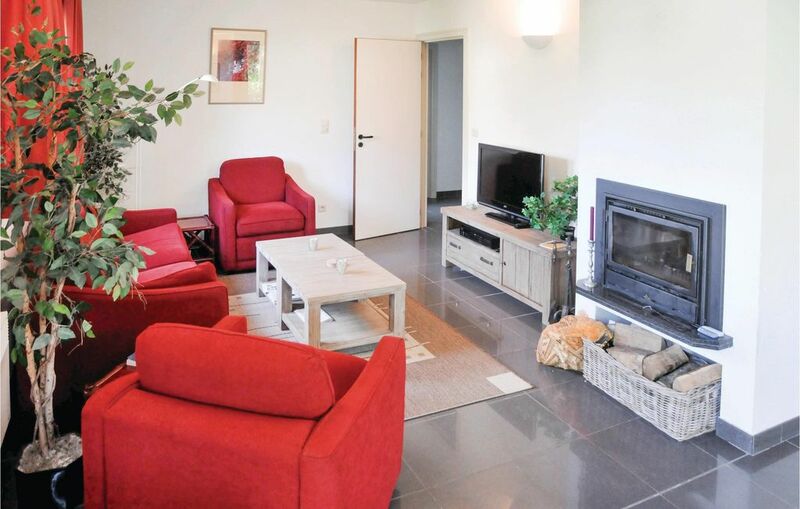 This comfortable apartment is located in the luxury resort, Residence Durbuy in the heart of the Ardennes. The apartment is part of a well-maintained building with three other apartments and has a modern design. One of the bathrooms has a hot tub. The park features an outdoor swimming pool (free) and a playground. Cot and highchair are available on request. Laundry facility is provided for a surcharge. Next to the park, there is a public swimming pool (fee applicable) with an adventure pool, a lap pool, a sauna and a restaurant. Golf lovers can visit the golf course in Barvaux. A higher deposit is collected for youth groups and school classes. See also BLX122.